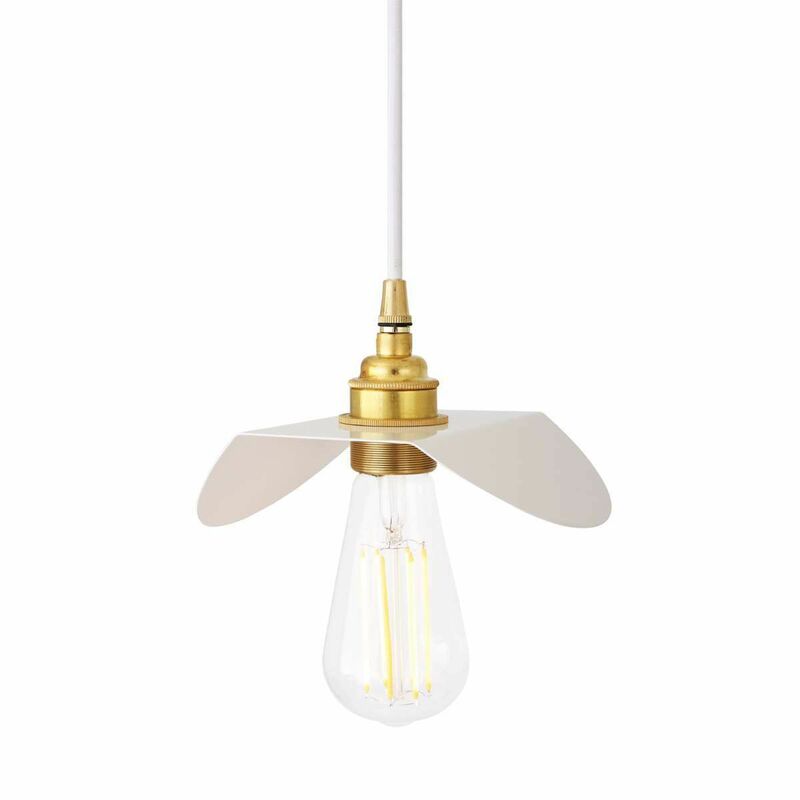 The Madaba pendant light is a modern pendant featuring a simple, angular shade. The shade is made from a single sheet of steel that is angled on two ends and powder-coated white. The shade measures 18cm at its widest point and it helps deflect light below. The shade of the Madaba pendant is attached to a brass lamp holder. A matching cord grip secures the lamp holder to white braided decorative cable. One meter of cable is supplied as standard with the Madaba pendant, although longer lengths are available on request. 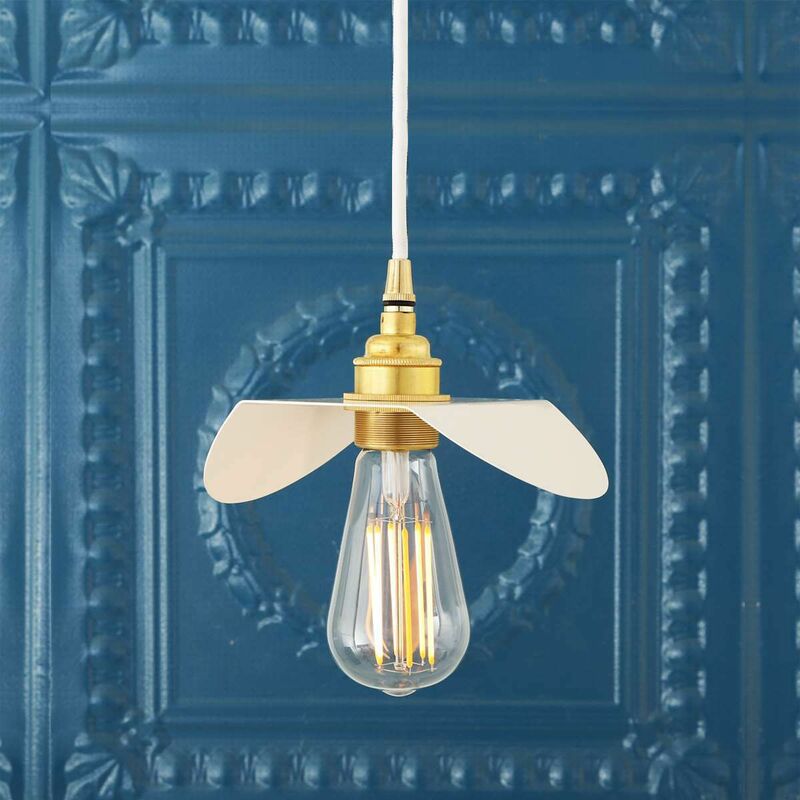 This modern pendant light is available in four finishes; antique brass (brown cable), antique silver (black cable), polished brass and satin brass. The shade remains white regardless of colour finish.